If you've been following me on Instagram, you'll know that I've been hinting at a big vacation this month ... Well, here it is! I'm currently exploring the lovely streets of Milan, Italy! So far, it's been absolutely amazing to discover the history within this beautiful city (plus, the food is out of this world). Stay tuned for more updates over the next week -- I'll be traveling to another Italian city soon as well! Any guesses? Thanks Tania! Hope you are doing well! I'm so insanely jealous! Italy is basically my number one dream vacation. 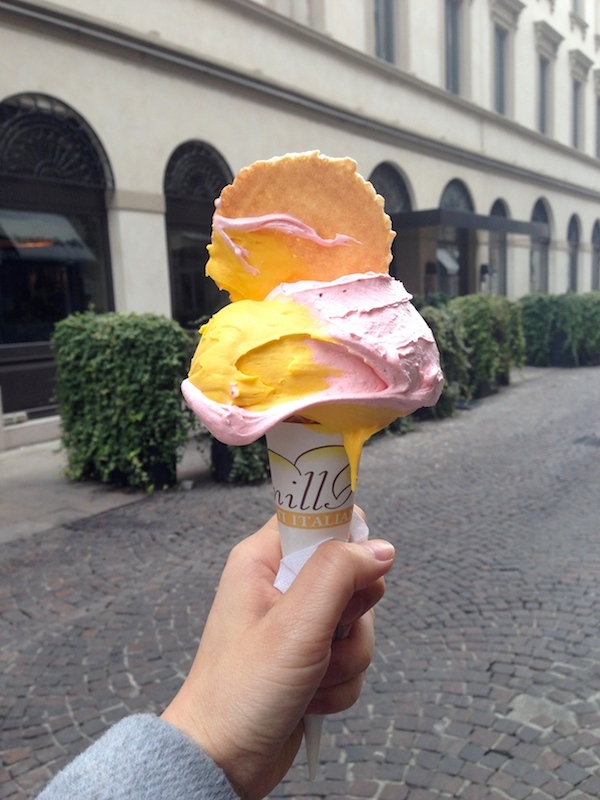 That gelato looks delish. My guess is... Venice? Totally living through all your pics of the city, amazing! Have lots of fun!